From the beautifully slender Swift 7 to the well-built Aspire S13, Acer makes solid laptops. But the common thing about all of them is that they run Windows, and Windows users regularly tend to forget their passwords. If you own one of those Acer creations and you're facing the password problem, don't worry. 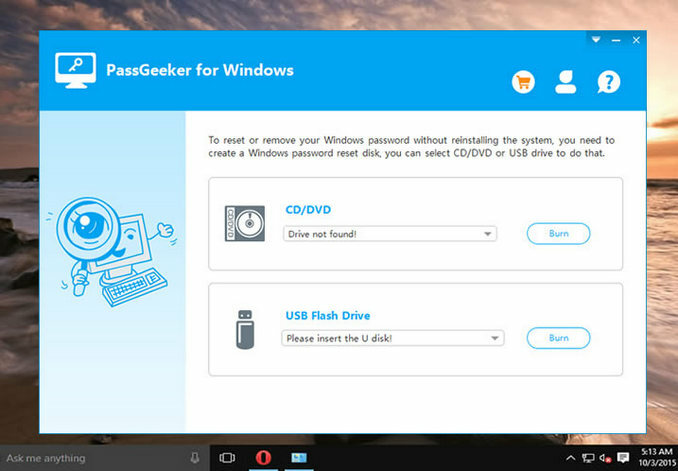 There's more than one way to reset your Acer laptop's Windows password. The approaches to resetting laptop password are varied. Some methods remove the password, some recover it through brute force, some even bypass the password altogether. Some methods are even drastic, such as reinstalling Windows after the login password has been forgotten, or doing a factory reset. 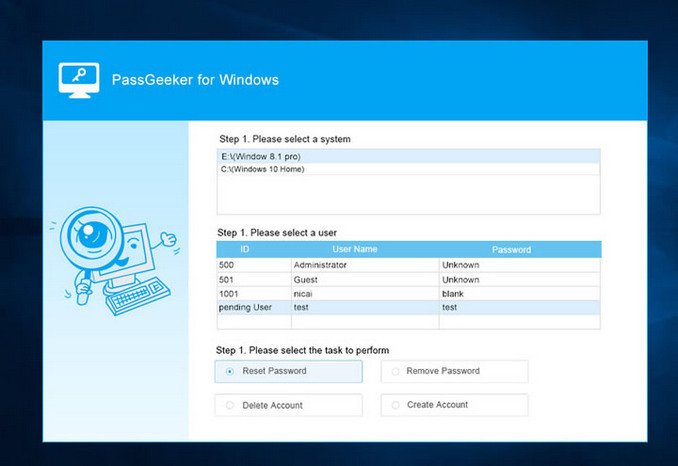 Let's take a look at three different ways to reset a user account password on a locked Acer laptop running Windows. If you have a little experience with computers, then you can consider adding a new account. The process is fairly straightforward but it does require some command line work. In short, you create an administrator account on the locked laptop and then use that account to reset the password on the locked user account. Or you could just continue to use the new admin account as it is. That works when you haven't really done any customization in your user account or you don't have any important data that you need to retain access to. The benefit of doing it this way is that it doesn't require any extra utilities or software except for the installation disk for Windows that you got with the laptop. The downside is that there is some risk involved. If you aren't comfortable working directly in Command Prompt, then you might want to skip to the second and third methods. Step 2: Now remove the disk and reboot the PC with this command: wpeutil reboot. This command makes the hard drive as the boot source. Step 5:You can either stop at this point and start using the new account, or you can reset the password for your locked user account. This method isn't all that simple, but it does help avoid downloading spurious software or doing a full reinstallation. However, it has other disadvantages, too. When you change a user account password from a different account, the original user will lose all access to files encrypted with EFS, as well as passwords and personal certificates. This method is highly effective because it allows you to completely bypass the login screen and access the account without the need for a password. Of course, that comes with a lot of risk because unless it's your private computer that nobody else has access to, it is not a recommended course of action. It also won't work if the computer is on a network such as your office network. Most importantly, you must have access to the user account in question. This cannot be executed after a password has been forgotten. Step 2: The action in Step 1 will open a new window with all the user accounts on that laptop. Select the user account you're currently using and then uncheck the box where it says "User must enter a username and password to use this computer." Step 3: Now confirm "OK" and authenticate the change with the current password. You will need to enter it twice. Once you restart your laptop, you will no longer need to enter a password when logging in as that user. The first two methods don't require special software or additional utilities, but as you can see, there are more than a few restrictions and disadvantages when using them. If you want a hassle-free experience with a reliable tool that has a 100% recovery rate, then try third method to unlock any laptop running Windows XP through Windows 10. Androidphonesoft Windows Password Recovery is one of the top Windows software utilities on the market, and it has earned that accolade by becoming a trusted password recovery software for millions of Windows users worldwide. It involves a three-step method that almost instantly resets any Windows password, including the ones for Microsoft accounts and Windows Server admin account. The product was released to the market only after being fully tested with more than fifty of the top PC and laptop brands in the world. The principle behind the software is simple: create a password reset disk on another computer with an ISO file, then use this disk on the locked machine to reset the password. Much of the hard work is done behind the scenes, and the user only has to move around their mouse and make a few clicks, and the job is done. Go to the official website on a different laptop or PC and download the utility. Then install it on the computer and open it. You will see the main interface as below screenshot. Insert a USB flash drive or DVD/CD and launch the program. In the interface, you will see an option for each; click on the appropriate "Burn" button after it is inserted and recognized. This is where you create the password reset disk. Now remove the disk or drive when it's ready. Insert the media into your locked Acer laptop and boot up from the disk, not from the default installation files for Windows from your hard drive. You can change the boot order in the boot menu after clicking on F2 during boot up. It may be another key like Del or Esc, but you'll see it on the screen. 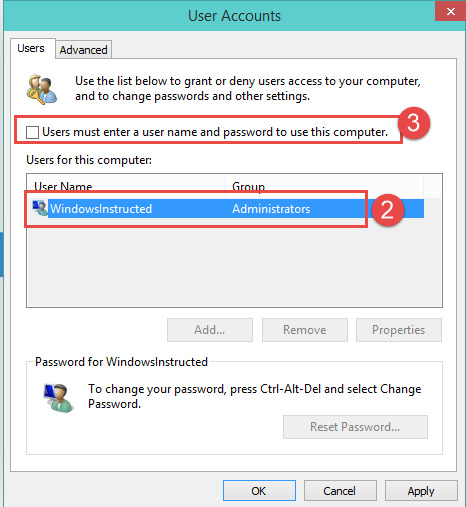 Once you see the window, select a Windows version from those shown, then highlight the relevant Windows user account and click "Reset Password". When it's done, click "Reboot." When you restart your Acer, you should be able to get it without a password. It is highly recommended that you set another password once you have access. It's not a good idea to have your laptop lying around with no password needed to get into your folders and data. It's okay if you live alone or nobody else in the house touches your laptop, but from a security perspective it is not a wise move. After all, even if you forget it again, you now have the tools to take care of it.